François Candolfi, CEO of MCT (Manufacture Contemporaine du Temps) was in Singapore to meet collectors at a cosy dinner organized by Deployant. The evening started with drinks and this was followed by a sumptious dinner in the private room at Privé Grill. The Grill is set in the beautiful scenery of a yatch marina. Francois and Jorg Hysek Jr (International Head of Sales) also brought with them the latest collection from MCT. A gathering of some of the most influential collectors and some significant journalists at Deployant’s first ever collectors’ event for MCT Watches. The august group who attended, and the watches. On the top row, on the right is the MCT Sparkle, which captivated the ladies, and extreme right is the Sequential One. And bottom left, shows the side profile, with the stylized lugs of the horns. 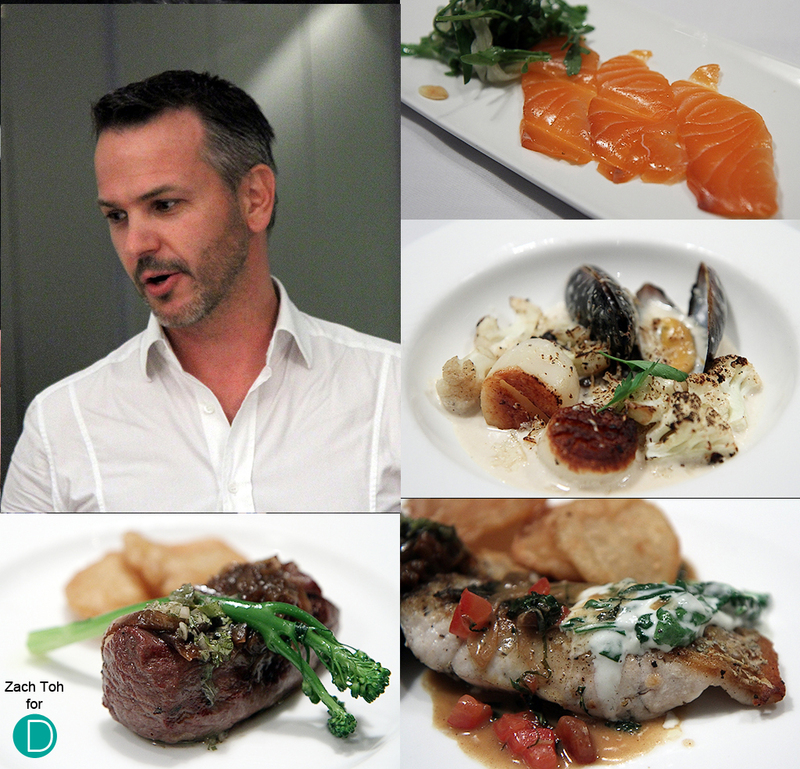 François Candolfi, CEO of MCT Watches was personally re-introducing the brand and the food. The restaurant’s sommelier had also provided a wine pairing for each of the magnificently delicious dishes. 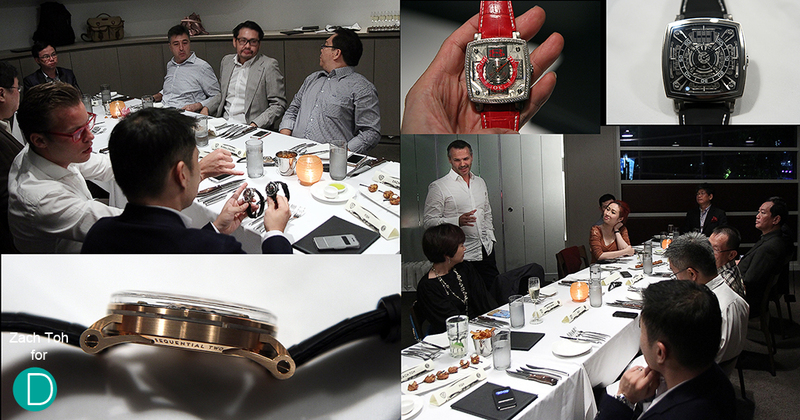 It was a really wonderful evening meeting up with fellow collectors over of fine food and watches. Many thanks to MCT and Deployant for the invite. Zach Toh is a well respected blogger and moderator of watch forums in Singapore. Many thanks for his contribution of the event report. Deployant will also be covering the MCT Sequential Two with live photographs soon.